Searcher Task Accomplishment heads the short list of ranking factors for Google. There’s Quality Links, Authoritative Content, and now – Searcher Task Accomplishment. Every SEO Agency in the world has an opinion on what it takes to rank a website. And everyone is a guru. Very few have the history and credibility of Moz Founder, Rand Fishkin. You may also hear us talk about “User Intent” and for all intents and purposes, it’s the same thing. Get in the mind of the searcher and answer their question. Give them the solution. Combine this with the creation and success of “Featured Snippets” and who can see where Google’s brain (or RankBrain, if you will) is at. Google itself is the tool most people use to find solutions to problems. You had better believe they will promote the best solutions. It’s becoming more and more apparent with the increasing popularity of Google Home, Amazon Echo, and voice search technology, that people are beginning to expect technology to understand their intent and communicate with them on a conversational level. We don’t communicate in real life by saying “Best SEO company DC“. 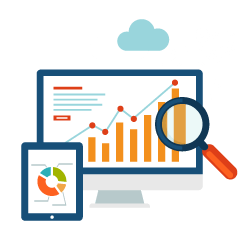 Instead, we may say, “Show me is the best SEO company in Washington DC?” We expect our search engines to understand our intent and we expect the search results to be spot-on!